The new version of Windows, Windows 8, has been already revealed to the marketplace, and everyone now knows about the features and functions of this newest edition of Windows from Microsoft. However, people are now brainstorming about the future of touch computing which can be certainly influenced by this operating system. Just tune in to the new Surface RT commercials on TV to experience what Windows 8 and touch has to offer. There are a number of reasons why Windows 8 may accelerate the era of touch computing. First of all, Windows 8 is fast and doesn’t take too much money for upgrading. It also looks good and has a great performance. For business integration and to support a big team on the move, this is a great thing since it can work on multiple devices. It is also cost effective for many organizations that allow their employees to bring their own devices. One thing that many loyal Windows users are saying is that Windows 8 is actually more convenient for computers or devices with a touch screen and probably this is not a great OS for conventional desktops. To many it is really frustrating to scroll through all those tiles with a mouse or a keyboard. 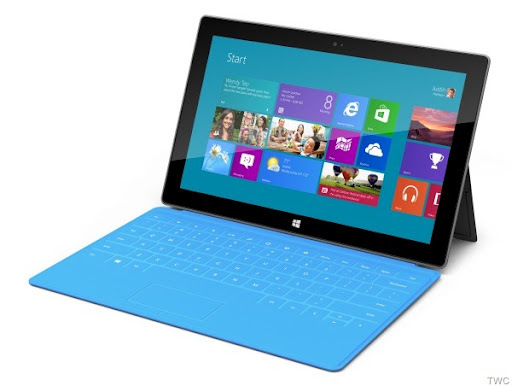 Microsoft is aiming to launch the touch computing era with its Windows 8 operating system. Perhaps this is the only motive behind the development of an ALL-IN-ONE operating system that works on all platforms from laptops to desktops to tablets and also smartphones. However, there is no denying of the fact that only people with a touch computer will enjoy this OS. Microsoft, to some extent, is trying to motivate users to move to a new platform. In spite of that, the era of touch computing will still take some time to become a reality. Not every organization or individual has a touch screen PC, and it will take a huge investment to switch to a complete touch computing system. However, enterprises and entrepreneurs will be happy to open-up their wallets if they can see the advantages of Windows 8 and touch computers. If competitors like Apple, Acer, Samsung, and IBM also concentrate on the touch computing market, we could move into a new era within a very short time. Do you have questions about Windows 8 and if your business can use touch computing? Contact us to learn more and to book a no obligation review of Windows8.